This mod adds NEI (NotEnoughItems) support for the "The Lord of the Rings Mod" (link to the wiki) (link to the forum thread). It's currently in development, but you can download more or less stable Alpha versions. If you want to report a bug/crash please report them at the official issue tracker (https://github.com/CraftedMods/nei-lotr/issues); but if you are going to report a crash please add the crash report! This mod has an integrated version checker, so you'll be notified if a new update is available. I developed the current version (1.0.0-ALPHA) of the plugin with the versions I listed above. The addon maybe works with older/newer versions too, but I don't guarantee. Thanks! A thousand thanks! Even better, I won't type them all out! You can download it (here). Finallyyyyyy!! Thank you so much man! Location: In my computer chair. I do not know how many times to say thank you! I have been needing an add on for the LotR mod for some time, thank you for making this mod! You read it, didn't you? I use forge-1.7.10-10.13.3.1381 (yes, i know it isn't the latest one, but i will update it), but i hadn't problems with it. Please send me one of the crash-reports (post it here, but please in a spoiler). Have you installed up-to-date versions of CodeChickenCore and NEI? The exception does not seem to be throwed by one of the installed mods. Have you tried to start MC without the addon/mapWriter/without any mods? For CCC/NEI, "Latest" is never as good as "Recommended". CCC is up to 1.0.4.29 and NEI is up to 1.0.3.74 for recommendations. 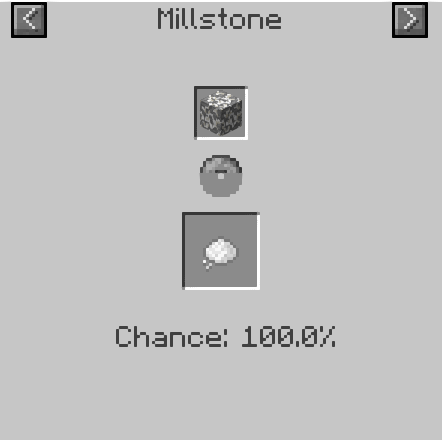 Fastcraft is up to 1.21, and I seem to remember an earlier version having a crash bug. I uploaded the changelog as a textfile on dropbox, so i havn't to copy it several times when i'm publishing a new release. Thx alot The_Ranger_Malvegil! 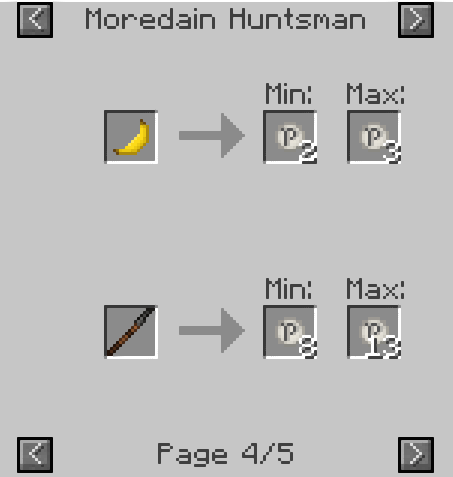 My days of going to the LOTR minecraft wiki for recipes are over! 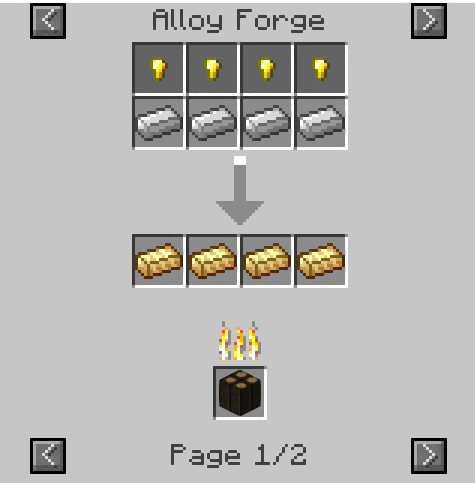 Well, i think they aren't over, because alloy forge, barrel and ent draught support aren't in the plugin yet. But the next update will provide things like this, amongst other bug fixes. A few words to trader support: Trader support adds the ability to view which trader sells (recipe mode) and which trader buys (usage mode) the selected item. Furthermore you can see all possible trades of a trader by pressing 'U' while hovering with the mouse on the spawnegg of the trader (NEI usage mode). Because trades aren't recipes and therefore they aren't NEI friendly, i added a config option to disable trader support (by default it is enabled). If you encounter bugs or crashes, please report them to me. When will this be updated to support the 27.2 version of the mod? You need CodeChickenCore and NotEnoughItems (NEI). You can find a link to the supported versions in the "Requirements" section. This mod doesn't work with LotR 28.x. 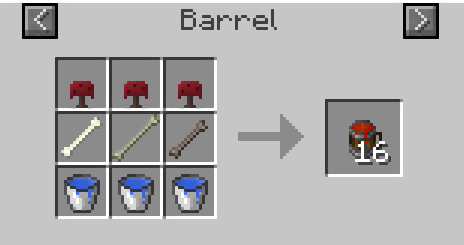 Every time I press R for a recipe for anything, even vanilla items, it crashes. Apparently this has something to do with the new poisons in LotR. The error happens with both latest and recommended versions of NEI. Anyway, I await the update.